The South Arm Community Kitchen made another scrumptious meal for this meet. 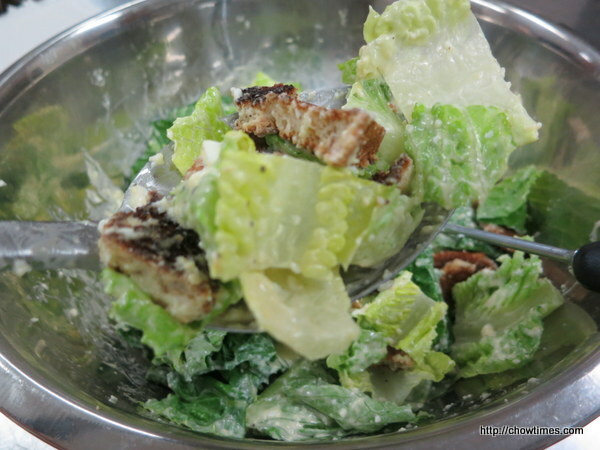 We made a Reduced Fat Caesar Salad with homemade croutons. 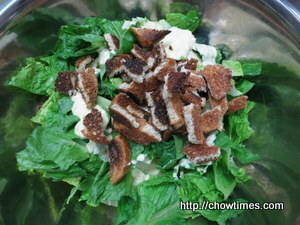 To make croutons, toast some day old bread until crispy. 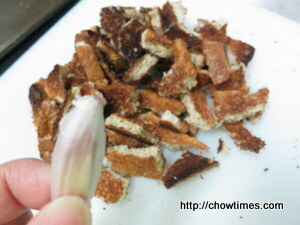 Rub the toast with a piece of garlic. Cut the toast into bite size pieces. 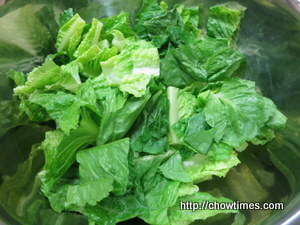 Tear the lettuce into bite size pieces and place in a large bowl. 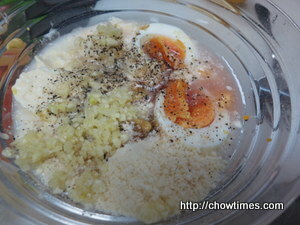 In a smaller bowl, combine hard boiled, egg, mayo, water, Parmesan cheese, lemon juice, wine vinegar, garlic, Dijon mustard, Worcestershire sauce, salt and pepper. 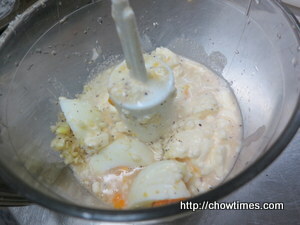 Blend the dressing until smooth and creamy. 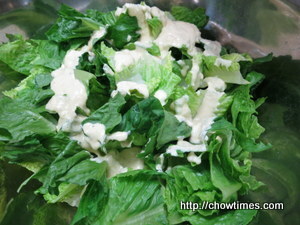 This dressing can be refrigerated up to 3 days before serving. 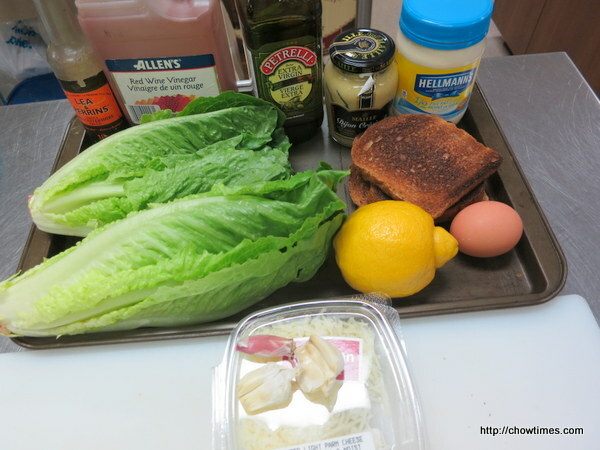 Add half of the dressing to the lettuce and toss. Add more dressing if needed. Top with the croutons. Sprinkle with additional Parmesan cheese.